It’s just another day at the Lab, but today’s particular assignment has the two employees scratching their heads: a ball keeps appearing from a spot labeled “Point A” and needs to travel to “Point B.” The catch is that the ball can never travel the same way twice! 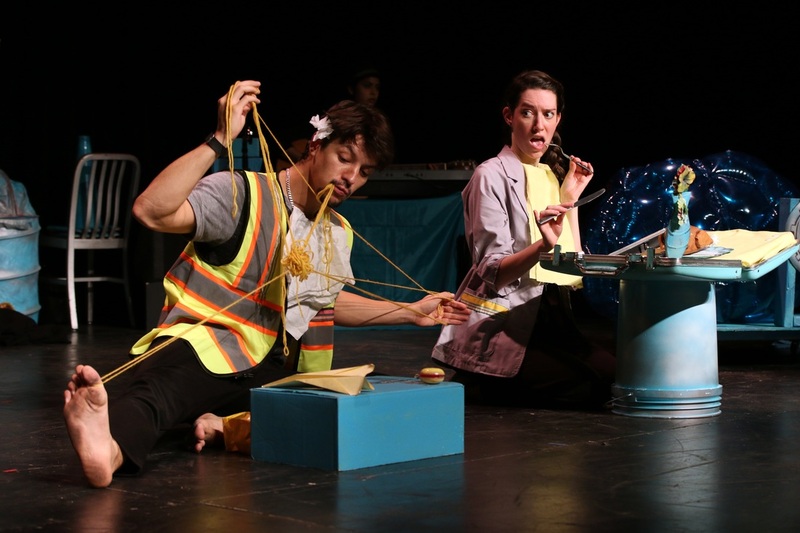 As the two co-workers – one a careful scientist, the other an athletic risk-taker – begin to solve the puzzle together, they explore different modes of transportation in new, wonderful, and exciting ways. This world premiere, nonverbal production is inspired by the America on the Move exhibit at the Smithsonian’s National Museum of American History. 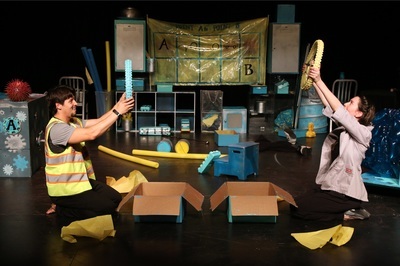 Point A to Point B will be touring to local schools and venues this spring. Email tour@artsonthehorizon.org for booking information. Point A to Point B received terrific feedback. 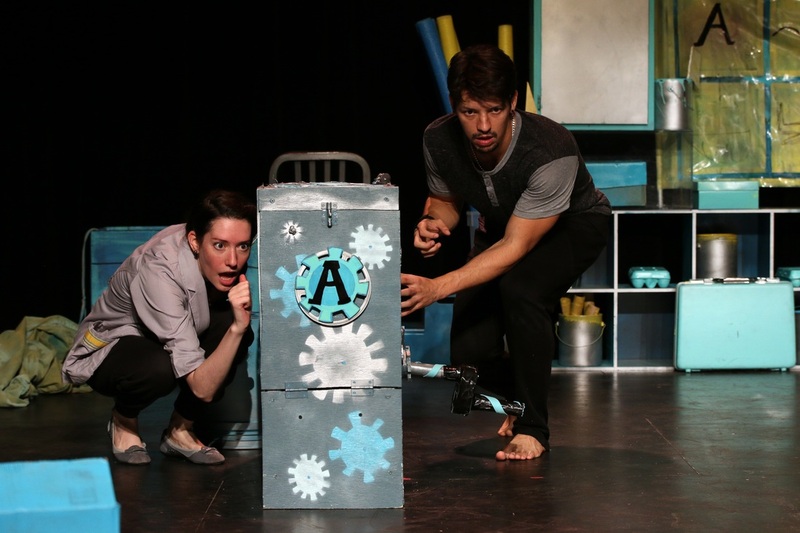 DC Metro Theater Arts raved about Point A to Point B commenting "The show is nonverbal and doesn’t rely on loud and busy action to hold their young audience’s focus, but instead engages their curiosity and welcomes their imaginations to take hold." David Kilpatrick (Playwright) is a DC-area arts administrator and playwright, and proud company member of Arts on the Horizon. His playwriting career began in second grade with a show called Father Fox Tries to Get Some Chickens. Written on his parents' typewriter and starring his classmates, the piece proved to be so popular it then toured all the way down the hall to the first grade. Now, all of these years later, he's not only delighted to have made a career in theatre, but is also honored to be writing plays for children under 6. His past plays with Arts on the Horizon include: Drumming with Dishes, Drumming with Dishes: Holiday Edition, and The Young Spectaculars and the Front Yard Adventure. In February 2017, his adaptation of Lindsay Ward’s picture book Please Bring Balloons will be produced by New York City Children’s Theater. For the past nine years, David has also been the Manager of Kennedy Center Theater for Young Audiences, working on world premiere commissions/productions, national and international presentations, the national touring program, and the biennial New Visions/New Voices, which develops new work for the field. 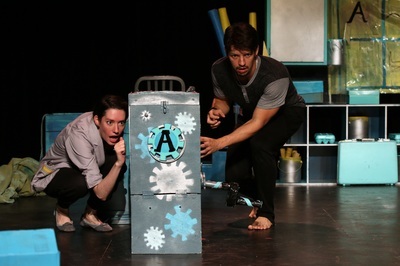 This play is for his own A & B – son, Ian & daughter, Celia. Stephanie Lash Kilpatrick (Dramaturg) is a director, dramaturg, teacher and arts administrator, who currently teaches Nursery-6th grade drama at National Presbyterian School, an independent elementary school in Washington, D.C. Before her 9 years at NPS, she was the lower school drama teacher at Episcopal Academy in Pennsylvania and a teaching artist for various educational theatre companies and museums in New York, Philadelphia and DC. Stephanie has served a dramaturg for Philadelphia Young Playwrights, Philadelphia Theater Company and at the Provincetown Playhouse, and holds an M.A. 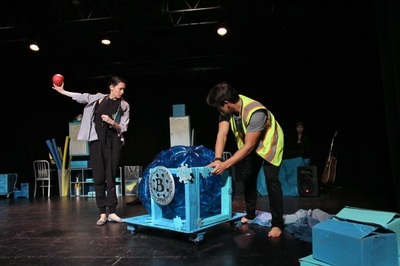 in Educational Theatre from New York University. Britney Mongold is excited to share her work with Arts on the Horizon. 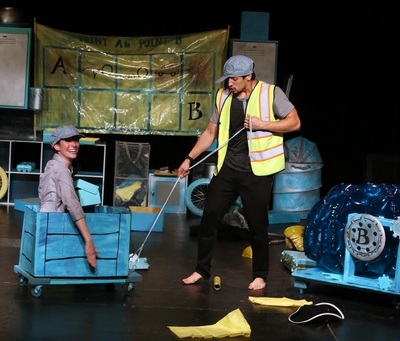 A Jack of all Trades, Mongold's most recent credits include Scenic Charge Artist for Flying V's Pirate Laureate and the King of the Sea and Props Design for Rorschach Theatre (Glassheart, She Kills Monsters, and Very Still & Hard to See), Theater J (G-d's Honest Truth, Sons of the Prophet, and The Call) and the 2014 and 2015 Source Theatre Festival's Full Length Plays. Rebecca Drew Ramsey (Costume Designer) is a designer, performer, storyteller, and teaching artist. Her artistry is heavily influenced by young people. Their curiosity, honesty, light, and innate sense of innovation is carried into each of her artistic endeavors. She believes passionately in the power a practicing artist can have in the classroom and the powerful influence young people have on practicing artists. She is currently pursing her MFA in Drama and Theatre for Youth at Communities at The University of Texas at Austin. Becca Drew is currently researching how physical and visual storytelling can engage the uniquely intergenerational audiences in Theatre for the Very Young. 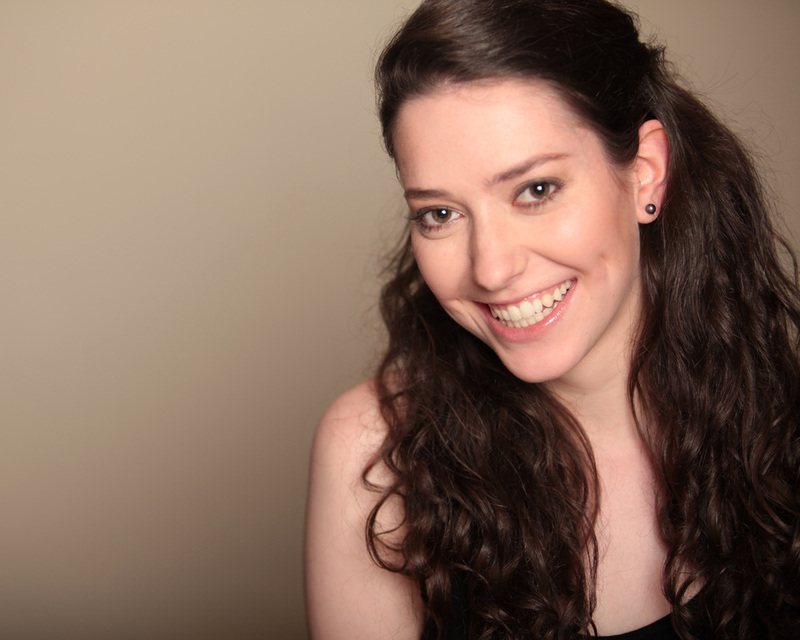 Kira Burri (Resident Stage Manager) was introduced to theatre at 8 years old, and she hasn't looked back since. 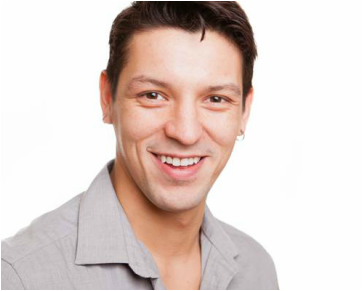 Recent theatre credits include Company, Big Love, Oedipus, and the world premieres of La Perdida and Legacy Street. She has also worked with Longacre Lea, serving as an assistant stage manager and performer in Pol Pot and Associates LLP. Kira received her BA from Catholic University. She would like to thank Michelle and the entire Arts on the Horizon team for giving her this wonderful opportunity! 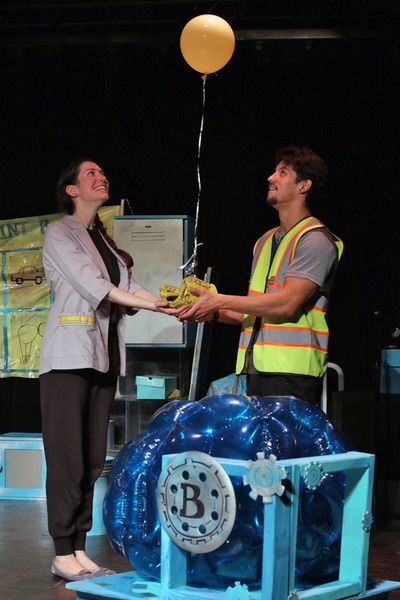 Natalie Cutcher (Scientist) is a DC-area actor and teaching artist, and a proud company member of Arts on the Horizon. She made her debut with Arts on the Horizon in Snow Day. Other local collaborators include Constellation Theatre Company (Journey to the West), Faction of Fools (Our Town, Plays on the American Mask, Quattro Senari), Rorschach (Glassheart, Six Impossible Things), Flying V (The Pirate Laureate and the Kind of the Sea, Flying V Fights: Love is a Battlefield), The Washington Rogues (In The Forest, She Grew Fangs, Mitzi’s Abortion), Source Festival (Perfect Arrangement, F2F, Uses of Enchantment workshop), The Inkwell (Kennedy Center’s Page to Stage: A Showcase of Local Inklings, First Contact Showcase: Mysteries of Body and Soul), Arts Alive (All This Intimacy). She earned her BA from Muhlenberg College and studied Physical Theatre abroad in Italy. Ryan Sellers (Catcher) is a DC-area actor. Other Arts on the Horizon credits include the original production of Point A to Point B and Sunny and Licorice. 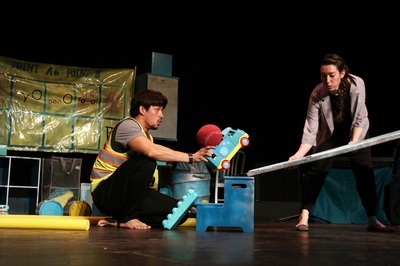 He loves working with and performing for young audiences. 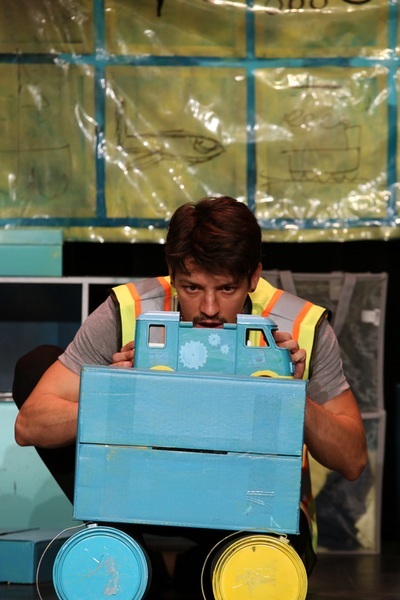 He has performed in other TYA shows such as The Night Fairy and Anime Momotaro (Imagination Stage), The Music Box and The Magic Balloon (Synetic Theater), as well as writing, directing, and performing in Cowardly Christopher Finds His Courage. He also teaches and directs with MVCCT and can be next seen onstage at Shakespeare Theatre Company in Romeo and Juliet. Paige Rammelkamp (Musician) is a DC-area music director, and is a proud graduate of American University, with a dual degree in Musical Theatre and Vocal Performance. She originally hails from Southern Virginia where she was classically trained as a pianist. She teaches at Adventure Theatre-MTC, and runs a private piano studio. Previous credits include Man of La Mancha with The Arlington Players and Grease with the Georgetown Gilbert & Sullivan Society. 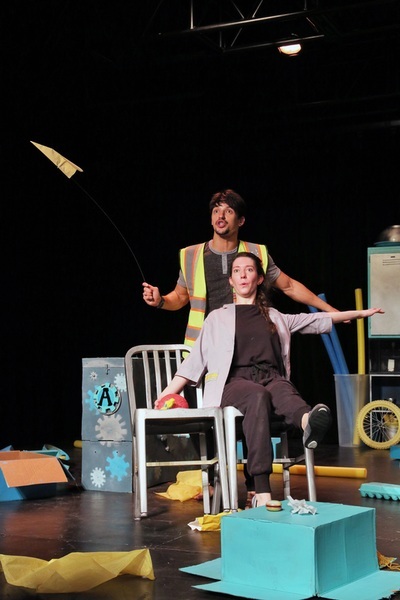 Her most recent projects are Adventures With Mr. Bear, also with Arts on the Horizon, and Sweeney Todd with Olney Theatre Center.